Get Married in LA Now! 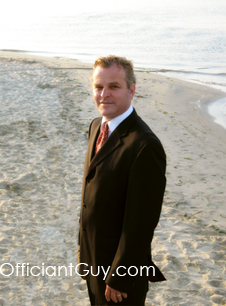 On my other wedding officiant website, OfficiantGuy.com, I wrote a series of three popular blog posts about why it’s so very important to get married when you find your soulmate. I can help you to get married in LA right now. I use the term LA loosely…I can go anywhere in Southern California to help you get married. 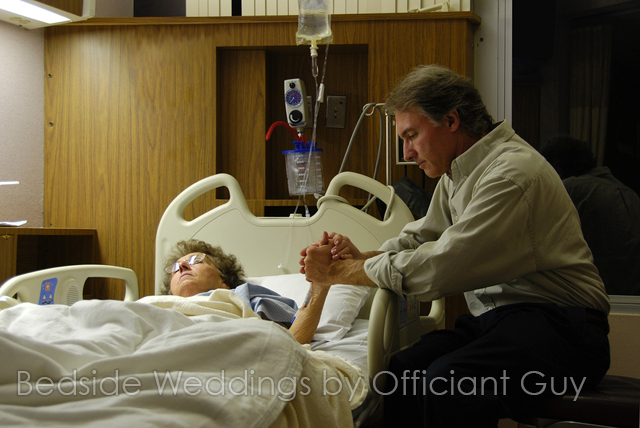 I am often asked to rush to a hospital to officiate a bedside wedding when one spouse is either injured or threatened with a serious illness that may end tragically. The tension is usually very high and I am required, by law, to make sure that the hospitalized spouse can actually be coherent before I officiate a legal wedding ceremony. What I essentially said in the 3 blog posts is that your wedding should be an incredible celebration of joy and I wish for you that if you are in love. There are many benefits to being married, aside from companionship. There are legal benefits that comes with marriage. Get married in LA today if you’ve found your soulmate. Don’t wait. It’s moments like this that get me choked up.